Douglas County Sheriff's Search & Rescue | So that others may live. The Douglas County Sheriff’s Search & Rescue is non-profit group made up of professionally trained volunteers that work under the auspices of the Douglas County Sheriff’s department. Every year, local citizens and visitors from around the world enjoy the backcountry of Douglas County, which includes Lake Tahoe, the Carson River and Pinenut Mountain Range. The interaction of people, challenging wilderness terrain and frequent adverse weather, predict­ably creates the need for search and rescue services. Since nearly every type of hazard mentioned in our state’s comprehensive emergency plans may require search and rescue, DCSAR is also an important adjunct to law enforcement and fire agencies during times of natural or man-made disasters. 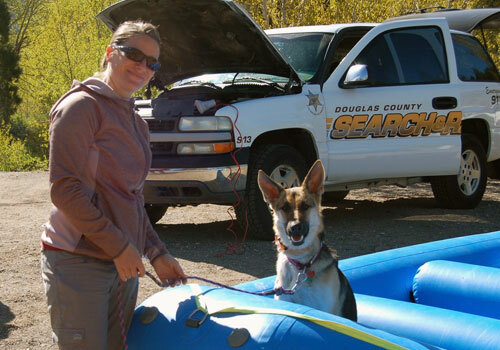 Search & Rescue is non-profit group made up of professionally trained volunteers that work under the auspices of the Douglas County Sheriff’s department. The goal of Douglas County Sheriff’s Search and Rescue is to provide emergency search and rescue services for the residents of and visitors to Douglas County, Nevada. We also provide emergency aid and assistance in times of natural and man-made disasters and provide assistance, as requested, to the Douglas County Sheriff’s Office and to our neighboring Counties in Nevada and California. 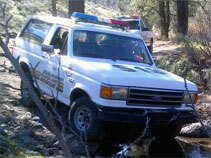 Very simply, our team is charged with finding lost or injured people, and if necessary, rescuing them. Want to join our team?